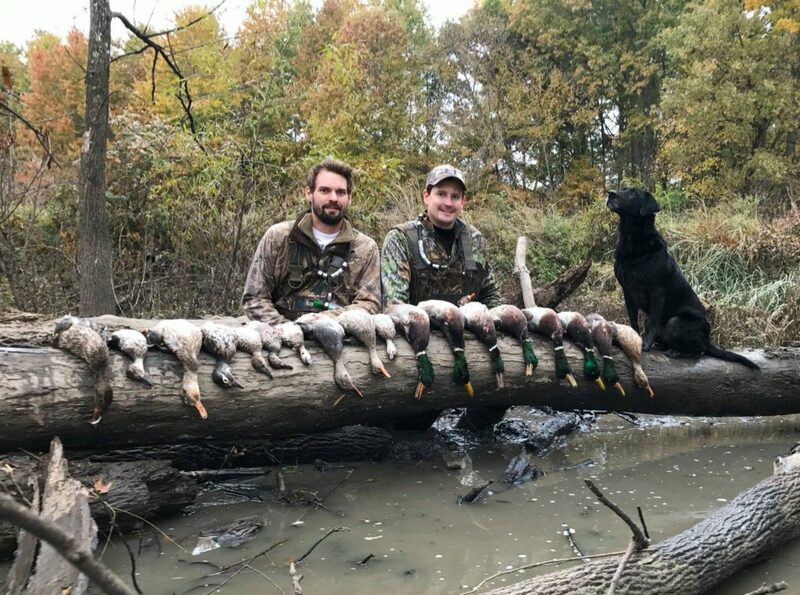 Mid-America Hunting Association is a private land, do it yourself hunter organization operating in Missouri and Kansas since 1965 offering Waterfowl Hunting. 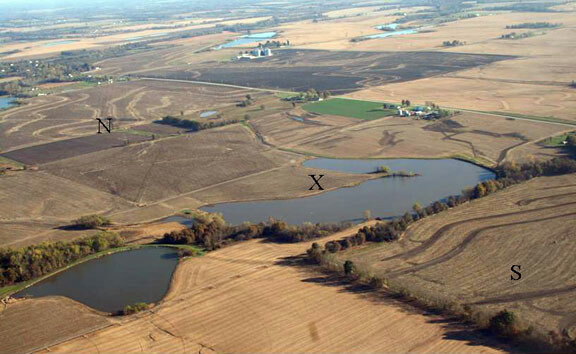 Missouri is our primary waterfowl state, but our Kansas land also has waterfowl opportunity. 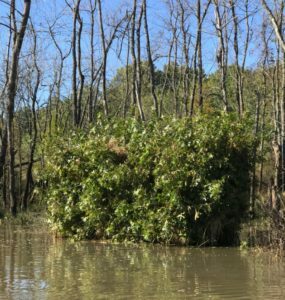 Permanent Blinds, Layout Blind/Wade in areas, Flooded Crop Stubble, Food Plots, Oxbow/Sloughs, Open Water, Irrigation/Watershed Lakes and Farm Ponds..
Yearly dues include entire season, also Upland Bird, Spring and Fall Turkey and Fishing. Deer is optional. Hunters dont have to get up at 2am to wait in line or draw for a spot. All hunting and scouting is controlled by reservation. Membership is limited. No member will ever be denied a blind or wade-in area during the entire season. Duck and Goose Hunting in both the North and Middle Zones. MAHA wade-in area with flooded millet and smartweed. Water moved from Holding Lake. 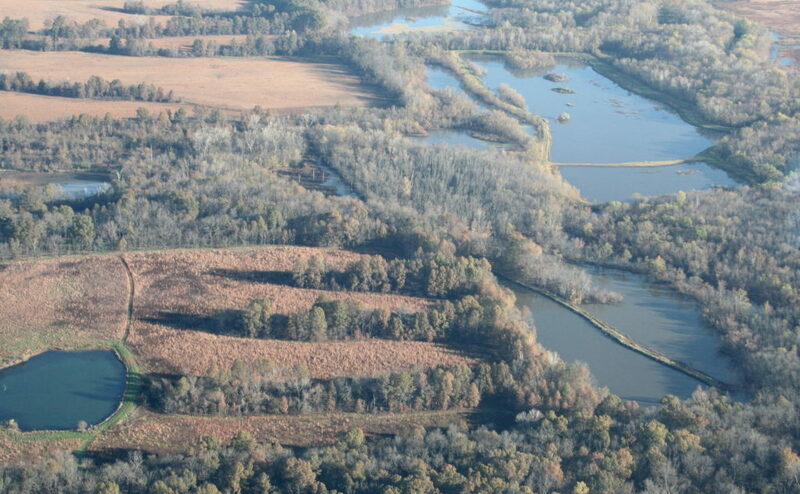 We provide private dry or wetlands, telephone or online map/reservation access and a local lodging listing. Waterfowl hunters provide the rest. Association Owner Jon Nee Sr. on left, and son Jon Jr.
Association membership is by application. Once accepted, members have access to an online map/reservation system with aerial photos and GPS coordinates. A detailed map of each blind and wade-in area is provided. All waterfowl hunting and scouting is controlled through an online or telephone reservation system. No one will ever be denied the chance to reserve a blind, wade-in area or lake within the season. 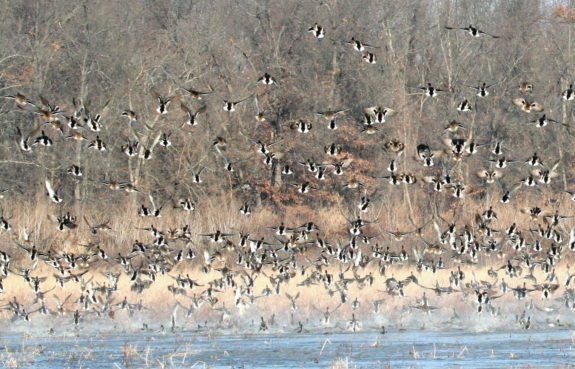 Members have the option to choose from a variety of waterfowl spots each day. Our MIssouri Wetlands are in the North and Middle Zones. Our Middle Zone leases are less than an hour drive from Kansas City.